TITLES HAVE BEEN REMOVED TO STOP THEM BEING REMOVED BY DMCA ..
17. Kid Galahad/Girls! Girls! Girls! 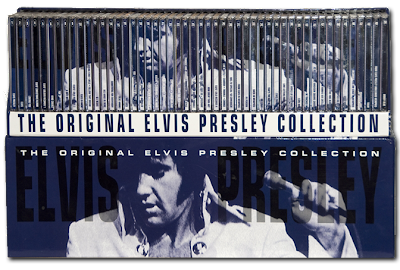 authorized by RCA Records, the exclusive worldwide owner of Elvis Presley’s sound recordings. Elvis Presley is the greatest recording artist of all time. The box includes previously released original CD albums, only the cover art is different. This 50 CD Box Set was released in 1996 by BMG Netherland. CD10: 1960 - Elvis Is Back! CD23: 1965 - Elvis For Everyone! 04. Are You Lonesome Tonight? Hi and thanks a lot for this fantastic collection! Unfortunately the archives of Cd2 + Cd4 seem to be damaged. Is there any chance to get a re-up?